Review Context: While I have played my fair share of RPGs, I haven’t played many tactical RPGs until Valkyria Chronicles. The Fire Emblem series, among others, got me into the genre. After playing these games, I had a hard time going back to RPGs that used old battle systems. When someone tells me the gameplay is similar to Valkyria Chronicles, I’m eager to play that game. I have not played the X-COM series this game is inspired from. 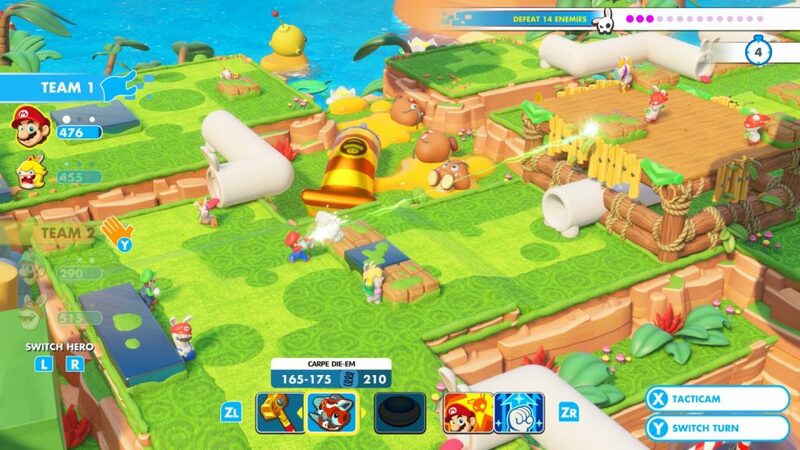 The team at Ubisoft did a superb job of making this look like a Mario game without Nintendo’s involvement. You can tell from the rich colors and fluid movements they poured their love and knowledge into the visuals. 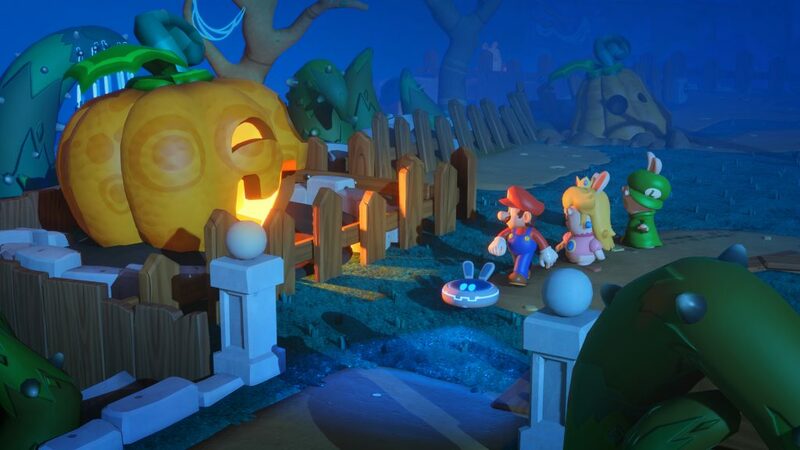 Considering that the Rabbids’ world merges with the Mushroom Kingdom at ease without feeling off is amazing. There are slight moments of slowdown and freezes, but these moments don’t impact the game. 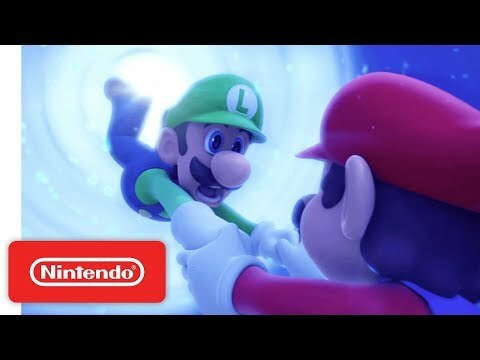 The cutscenes do a good job of showing off the Mario character’s personalities without much dialogue as they seem to tolerate the Rabbids antics. With this being a different type of Mario game, one has to wonder how the controls would hold up. The battle system is one of the simplest gameplay for a genre like this. Meaning that while the controls are simple and responsive, experts of the genre may be turned off by how simple it is, but that shouldn’t turn you away from the game. As you earn more weapons and upgrades, the control scheme starts to change but only minor. This would be the tactical RPG you would recommend to friends who are not RPG savy. Due to the multiple options on how to play the game is why I feel they made the controls easy, whether you play with the Joycon/s or Pro Controller. Very rarely do you see Mario and friends interact with other characters, except for Super Smash Bros. and Mario Kart. While he has starred in other genres including RPGs, it usually takes place in the Mushroom Kingdom. That changed when Mario teamed up with Sonic for the annual Olympic Games. While many were hoping for a real Mario and Sonic game, what we got was a crossover no one expected. The story has a player from our world create a helmet that can merge two items calling it SupaMerge. The Rabbids appeared in our world via Time Washing Machine and starts messing with the device causing them to enter the Mushroom Kingdom with an interesting twist. 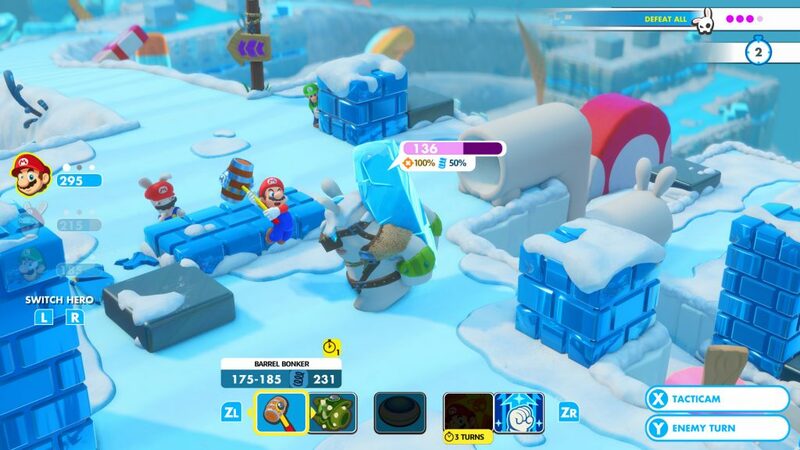 Mario teams up with the Rabbids to retrieve the device and restore order to the Mushroom Kingdom. To fight off the evil Rabbids invading the Mushroom Kingdom you are equipped with blasters to take down your foes. This is done by having a team of three (must have at least one Rabbid) to plan out your attacks. You can use your teammates to jump over obstacles, double team attacks, among others. If you don’t want to get hit you must plan your attacks behind cover. This can make or break the attack, as your angle could be obscured to your target causing you to miss, and giving the enemy the upper hand. Before the battle you can scan the field to see their location before attacking, so for the experts, this feature is very helpful. As you defeat enemies you earn experience to increase health and make your weapons more powerful. While the game starts out easy to help you ease into the combat, the boss battles spike up the challenge instantly. Your rage will be tamed as constant checkpoints keep you from backtracking and the optional “easy mode” will appear if you are defeated. You can also explore the world as Beep-O (your assistance), who leads your team around during your downtime. You can collect coins to spend money at the shop to buy or upgrade your weapons, while solving puzzles helps you gain access to hidden items and rewards. Amiibo is supported for special weapons, but you can access these without them. There is multiplayer, but it’s locked till later and its only competitive, not co-op. However, co-op will be added via DLC in the near future. Like all Mario games, you expect some chippy, upbeat themes. While some Mario themes are present, the soundtrack is mostly original tunes composed by Grant Kirkhope (former Rare employee). which is a match made in heaven. His tunes give off an epic sense of adventure as you travel to different worlds. The quick dialogue from the characters are present, as well are the Rabbids signature grunts and yells. Most of the main Nintendo sound effects are kept to a minimum, which is surprising as you don’t get the classic warp pipe sound.